Yes, I’m a feminist. No, I don’t hate men. So today’s post isn’t inspired by a Stanford professor, an infamous hate group coming to Stanford, or a world-changing scientific breakthrough from Stanford researchers. Today’s post is inspired by a quintessential Freshman Dorm activity that occurred in my dorm a week and a half ago: Crossing the Line. Now, I live in FroSoCo (the Freshman-Sophomore College, for those of you who aren’t as familiar with all of Stanford’s dorms…. or who just haven’t heard of FroSoCo because according to some, it’s “off-campus.”) Anyway, because it’s my second year in FroSoCo, this means that this was essentially my second straight year of Crossing the Line – with the same questions, just (mostly) different kids. Also, for those of you unfamiliar with Crossing the Line, it’s basically an “identity discussion activity” that goes something like this: A single piece of masking tape is placed on the floor as a 70-foot “line.” The whole dorm lines up on one side of the line. A moderator (a Stanford staff member unfamiliar to the whole dorm) reads off a list of one-sentence statements that might apply to an individual – such as “I consider myself a religious person” or “I would not date outside of my race” or “I would not be at Stanford if it were not for financial aid.” These questions cover issues of race, religion, social class, personal beliefs, etc. If a student feels that the statement applies to him or her, they cross the line of tape. The point is to see interesting/surprising social patterns, learn about your peers, and spark future discussions within the dorm. But there was one exception. Immediately after the actual Crossing the Line activity last year, a discussion took place in the same room (Ricker dining hall, for us.) Because after one statement – “I consider myself a feminist” – many people hesitated. They seemed unsure of what a feminist was. And ultimately, less than half the students crossed. Consequently, during this discussion, one sophomore girl brought up the topic of feminism, asking why so few people crossed. 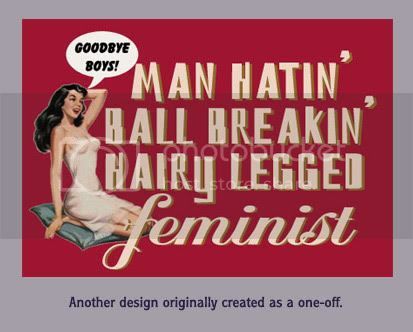 Indeed, the problem was that most people possessed misconceptions – or at least, widely varying definitions – of what feminism is. One guy thought that a feminist must be a political militant for women’s rights. Another student thought that feminists believed women were innately superior to men. I fail to see what’s at all controversial about that. Yes, I can understand if someone doesn’t cross the line because they don’t consider themselves an* advocate* for that belief. They might fall under the misconception that to be a feminist, you must fall under the feminist movement. But less than half of the residents in my dorm considering themselves feminists? This was the case during last year’s Crossing the Line, and the same results arose this year. Yet if you asked each person in my dorm, “Do you believe black people should have equal rights?” I can’t imagine anyone replying in the negative. Similarly, if you asked each person in my dorm, “Do you believe women should have equal rights?” I’d imagine that nearly all – and hopefully 100%, unless they were joking – would reply in the affirmative as well. Where else, then, might the misconceptions lie? 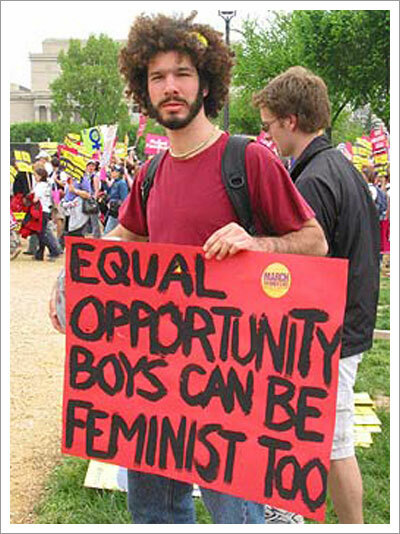 Could these non-feminists believe that feminism requires all women to enter the workforce? Requires fathers to have an equal role in housework and raising the kids? I don’t know. However, I do know that, personally, I don’t fit the role of your stereotypical “feminist.” I’m certainly not a radical liberal; I’m politically moderate (though at Stanford, that’d be considered conservative.) Spring quarter of last year, I shopped this English class that had to do with women writers (I won’t say which class) – and after a half-hour of the first class, I wanted to bolt out of the room. The class, which appeared to have a Feminist Studies slant, seemed to explore nothing but the world of women, the domestic experience, the emotions of oppressed women, etc. ; it was like I had entered a parallel universe where no men existed. Similarly, I would hate to go to an all-girls school, live in a sorority, or even live on an all-girls floor. I definitely don’t hate men, nor do I think they’re inferior. (As a psychology student, I’ll gladly acknowledge that there are biological differences in male and female psychology – some in favor of females, some in favor of makes. A widespread theory asserts that because the corpus callosum, the bridge connecting the left and right hemispheres of the brain, is larger in females than in males, females are better at multitasking. Similar theories exist to give males other biological advantages.) I will acknowledge that the sexes are, obviously, different. Finally, I am nearly engaged, plan to get married as soon as I graduate, and plan to have a few kids (all of whom will be born before I turn 35, for health reasons.) Not the high-powered businesswoman/politician “feminist” stereotype. Yet I am still a solid feminist, because I believe in equal rights for women. Now my question is… are there actually others in this millennium, in the liberal Bay Area, and at Stanford, who do not?